FootGolf, the UK’s fastest growing new sport, is ready to kick off in North East England thanks to support from one of the region’s premier golf and leisure venues. Ramside Hall Hotel and Golf Club in Durham has become the newest UK golf facility to be accredited by UK FootGolf, the governing body of the sport. Together with partner CSL Events, Ramside Golf Club has announced the launch of the first-ever North East FootGolf Series to run throughout Summer 2016. FootGolf fuses the sports of football and golf and is played with a size five football on specially designed courses with oversized holes measuring 50cms in width. Helen Roseberry, director of golf at Ramside Golf Club, said: “FootGolf has exploded in popularity in the past three years and nationally huge numbers of people are trying it because it combines two of Britain’s favourite sports. The series will raise both funds and awareness for two North East charities, The Butterwick Hospice and The Sir Bobby Robson Foundation, and officially launched last week with football personalities from around the region trying FootGolf for the first time. Former Newcastle United FC and England Footballer Steve Howey was joined by Ex-Sunderland AFC legend Gary Bennett and players from Durham Women’s FC to lace up their boots to beat par rather than a goalkeeper. The series of five FootGolf events are being organised in partnership with CSL Events, a part of Culture, Sport & Leisure CIC, which is a North East community interest company seeking to increase opportunities for local communities and businesses to access and engage in sporting and cultural activity. 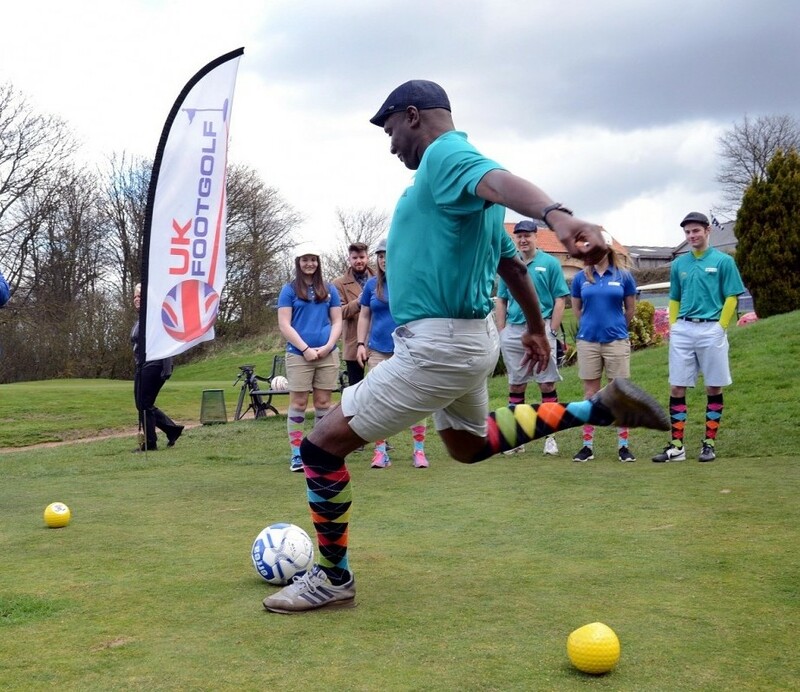 Mark Blackbourne, director of Culture, Sport and Leisure, said: “FootGolf is sweeping across the UK rapidly and changing the way people perceive golf and golf clubs. The North East FootGolf series is open to teams of four players from the North East business community, commercial organisations and public sector bodies. The series begins on May 11 with a unique opportunity for teams to try and beat a score set by professional and ex-professional footballers from the North East and culminates on September 21 with a Champion of Champions finale event.